What is recurrent erosion syndrome (RES)? Recurrent corneal erosion syndrome (RES) is diagnosed when a person wakes up in the morning with a very painful eye, which feels like something has “ripped” on the surface of the eye. An abrasion or corneal ulcer develops when the epithelium (skin) on the surface of the cornea is dislodged. The most common cause of recurrent corneal erosion is a fingernail injury or other trauma to the cornea. 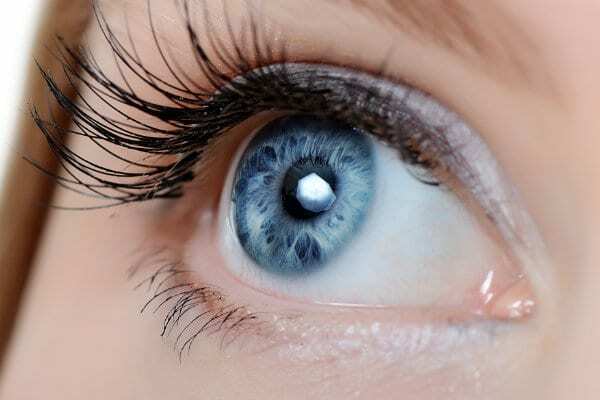 It can also occur spontaneously, or in patients with a weakness of their cornea called Map Dot Fingerprint (Epithelial Basement Membrane) Corneal Dystrophy. What treatments are available for recurrent corneal erosion syndrome? Lubricating ointment at night-time and drops during the day. Sometimes oral antibiotics to improve Meibomian gland dysfunction and reduce tear enzymes are recommended. Lubricating ointment will prevent the eyelid from sticking to the epithelium and lifting it off the cornea. Bandage contact lens, used under close medical supervision, changed monthly for at least 3 months. Laser phototherapeutic keratectomy (PTK). Laser PTK is performed by removing the epithelium (or outer skin of the cornea) and then applying excimer laser treatment to the surface of the cornea. The goal is to produce a smoother and clearer cornea, and to enable the epithelium to bond better to the rest of the cornea to prevent recurrent erosions. What happens during PTK surgery? Anaesthetic eye drops are used to numb the surface of your eyes. A clean drape will be applied around your eye, and a gentle eyelid clip will keep your eyelids open during the procedure.You will be asked to look a target light while the epithelium, a thin layer of protective skin that covers the cornea, is removed with a fine spatula. The laser will then treat your cornea. It is important to continue looking at the target light whilst the laser treatment is taking place. The laser treatment will be finished in less than a minute or two, depending on the amount of treatment needed. Your eye will then be examined by Miss Saw at the slit lamp microscope. Sometimes a little more laser treatment will be done that day, until the cornea is smooth and clear. A bandage contact lens will be place in the eye at the end of the procedure. Your vision will be blurry or hazy for the first few days. You will experience some discomfort as the epithelium heals and covers the treated area. Your eye will be gritty, red, watery and sensitive to light, especially during the first week, but this will gradually improve. Cool compresses, regular pain tablets and eye drops will be used to minimize this discomfort. Sleeping will help the eye to heal. You will either use an eye pad for 2 days, or use a soft bandage contact lens for up to 1 week. Most patients resume normal activities after the first week, sometimes earlier. Vision can fluctuate for up to six months. PTK is a safe and effective procedure, but like any surgical procedure, it does have some risks and side effects. Some patients find that their spectacle or contact lens prescription is slightly different after the procedure. After PTK, it is normal to experience light sensitivity, glare and halos. These visual side effects are mild and temporary and have a tendency to resolve over time. When treating recurrent corneal erosions, PTK may need to be carried out more than once. Serious complications following PTK are extremely rare but include corneal infection, irregular astigmatism (where contact lenses may be needed to improve vision which cannot be improved with spectacles), or permanent scarring which impairs the quality of vision.